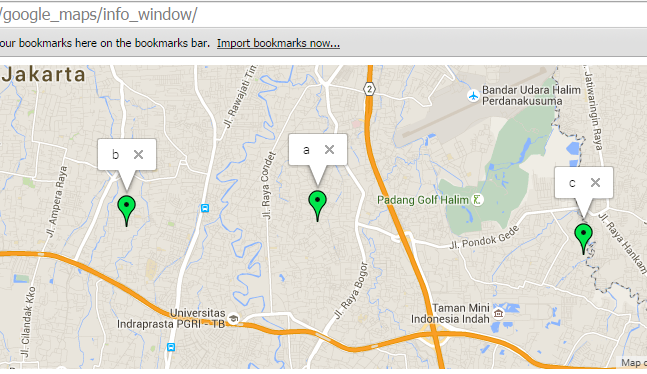 In google map v3, we can create a popup like above. 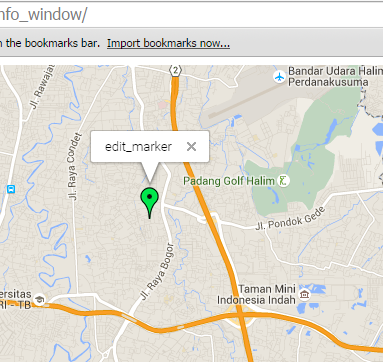 The popup in google map v3 is called ‘info window‘. So in this tutorial you will learn how to create info window and how to edit too. 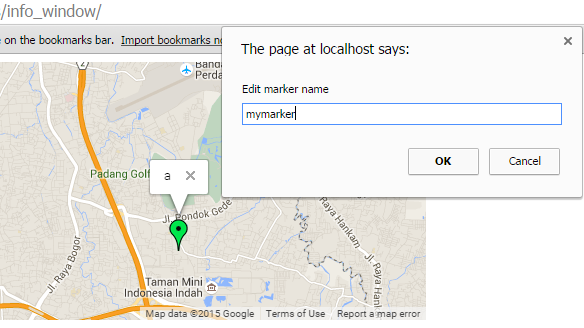 Run that script, and then we can create any marker by clicking on the map. 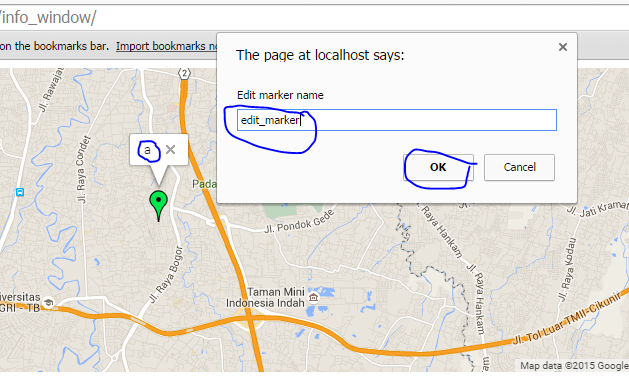 mas agar bisa naruh link di infowindow bagaimana caranya? jadi setelah popup infowindow muncul teks info kalau di klik nge-link ke website tertentu.